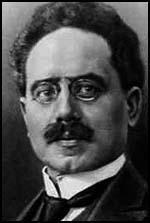 Karl Liebknecht, the son of Wilhelm Liebknecht and Natalie Reh, was born in Leipzig on 13th August, 1871. Two years previously, Liebknecht and August Bebel formed the Social Democratic Workers' Party of Germany (SDAP) together. They also established a newspaper, Der Volksstaat. Liebknecht married Julia Paradies on 8th May 1900. Over the next couple of years the couple had two sons and a daughter. His father died on 7th August 1900 and now August Bebel became the dominant figure in the Social Democratic Party. Liebknecht began to argue for more radical action. In 1904 he joined forces with Clara Zetkin to suggest the use of the political mass strike to overthrow capitalism. Karl Liebknecht was in direct opposition to Eduard Bernstein. He published a series of articles where he argued that the predictions made by Karl Marx about the development of capitalism had not come true. He pointed out that the real wages of workers had risen and the polarization of classes between an oppressed proletariat and capitalist, had not materialized. Nor had capital become concentrated in fewer hands. His analysis of modern capitalism undermined the claims that Marxism was a science and upset leading revolutionaries such as Lenin and Leon Trotsky. 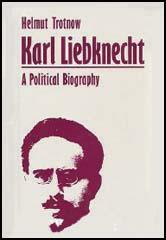 Karl Liebknecht became a leading figure in the anti-militarist section of the SDP. In 1907 he published Militarism and Anti-Militarism. 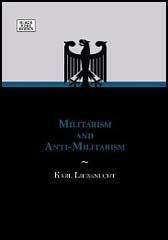 In the book he argued: "Militarism is not specific to capitalism. It is moreover normal and necessary in every class-divided social order, of which the capitalist system is the last. Capitalism, of course, like every other class-divided social order, develops its own special variety of militarism; for militarism is by its very essence a means to an end, or to several ends, which differ according to the kind of social order in question and which can be attained according to this difference in different ways. This comes out not only in military organization, but also in the other features of militarism which manifest themselves when it carries out its tasks. The capitalist stage of development is best met with an army based on universal military service, an army which, though it is based on the people, is not a people’s army but an army hostile to the people, or at least one which is being built up in that direction." 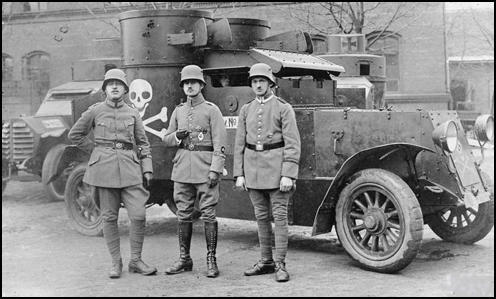 At this time Germany became involved in an arms race with Britain. The Royal Navy built its first dreadnought in 1906. It was the most heavily-armed ship in history. She had ten 12-inch guns (305 mm), whereas the previous record was four 12-inch guns. The gun turrets were situated higher than user and so facilitated more accurate long-distance fire. In addition to her 12-inch guns, the ship also had twenty-four 3-inch guns (76 mm) and five torpedo tubes below water. In the waterline section of her hull, the ship was armoured by plates 28 cm thick. It was the first major warship driven solely by steam turbines. It was also faster than any other warship and could reach speeds of 21 knots. A total of 526 feet long (160.1 metres) it had a crew of over 800 men. It cost over £2 million, twice as much as the cost of a conventional battleship. As a member of the Reichstag, Liebknecht had parliamentary immunity from prosecution. When the military judicial authorities demanded that this immunity was removed, the Reichstag agreed and he was placed on trial. On 28th June 1916, Liebknecht was sentenced to two years and six months hard labour. The day Liebknecht was sentenced, 55,000 munitions workers went on strike. The government responded by arresting trade union leaders and having them conscripted into the German Army. A convention of the Spartacus League began on 30th December, 1918. Karl Radek, a member of the Bolshevik Central Committee, argued that the the Soviet government should help the spread of world revolution. Radek was sent to Germany and at the convention he persuaded the delegates to change the name to the German Communist Party (KPD). The convention now discussed whether the KPD should take part in the forthcoming general election. Militarism is not specific to capitalism. It is moreover normal and necessary in every class-divided social order, of which the capitalist system is the last. Capitalism, of course, like every other class-divided social order, develops its own special variety of militarism; for militarism is by its very essence a means to an end, or to several ends, which differ according to the kind of social order in question and which can be attained according to this difference in different ways. This comes out not only in military organization, but also in the other features of militarism which manifest themselves when it carries out its tasks. The capitalist stage of development is best met with an army based on universal military service, an army which, though it is based on the people, is not a people’s army but an army hostile to the people, or at least one which is being built up in that direction. Sometimes it appears as a standing army, sometimes as a militia force. The standing army, which is not peculiar to capitalism appears as its most developed, even as its normal form. The army of the capitalist social order, like the army of any other class-divided social order, fulfils a double role. It is first of all a national institution, designed for external aggression or for protection against an external danger; in short designed for use in cases of international complication or, to use a military phrase, for use “against the external enemy”. This function of the army is in no sense eliminated by the latest developments. For capitalism war is in fact, to use the words of Moltke, “a link in God’s world order”. In Europe itself there is admittedly something of a tendency for certain causes of war to be eliminated: the probability of war breaking out in Europe is decreasing, in spite of Alsace-Lorraine and the anxiety caused by the French trinity of Clemenceau, Pichon and Picquart, in spite of the Eastern question, in spite of Pan-Islamism and in spite of the revolution taking place in Russia. On the other hand new and highly dangerous sources of tension have arisen in consequence of the aims of commercial and political expansion pursued by the so-called civilized states, sources which have been handed down to us by the Eastern question and Pan-Islamism in the first instance, and as a consequence of world policy, and especially colonial policy, which - as Billow himself unreservedly acknowledged in the German Reichstag on November 14, 1906 - conceals countless possibilities of conflict. This policy has at the same time pushed forward ever more energetically two other forms of militarism: naval militarism and colonial militarism. We Germans know a few things about this development! Navalism, naval militarism, is the twin brother of militarism on land and bears all its repulsive and virulent features. It is at present, to a still higher degree than militarism on land, not only the consequence but also the cause of international dangers, of the danger of a world war. 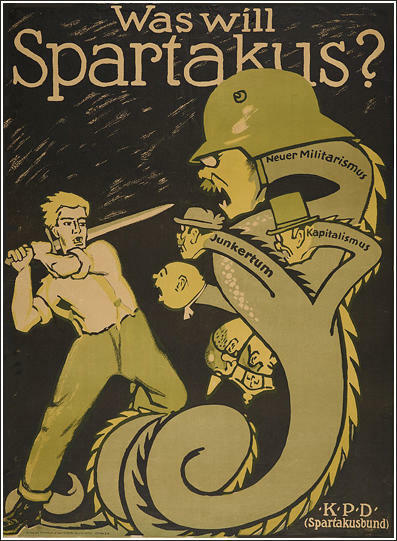 The attempt to develop special anti-militarist propaganda in Germany has been resisted by influential leaders of the movement, who say that there is no Social-Democratic Party in the whole world which fights militarism as hard as German Social-Democracy. There is much truth in this. 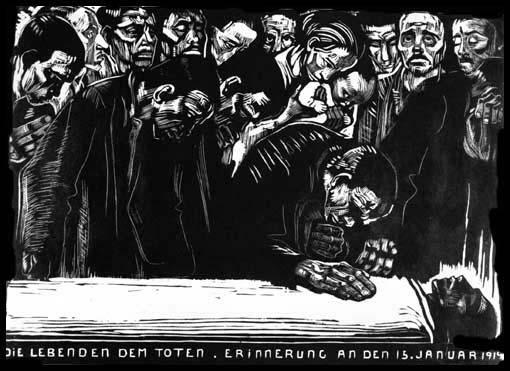 Ever since the German Reich has existed ruthless and tireless criticism has been levelled by the German Social-Democrats in parliament and in the press against militarism, the whole of its content and its harmful effects. It has collected material to indict militarism, enough to build a gigantic funeral pyre, and has waged the struggle against militarism as part of its general agitation with great energy and tenacity. In this respect our Party needs neither defence nor praise. Its deeds speak for themselves. Nevertheless, there is more to be done. We by no means deny that the struggle waged against militarism has met with great success and that the form of the struggle has been well adapted to the goal. Nor do we deny that this kind of struggle will remain useful, and even indispensable, in the future, and bring more successes. But that does not settle the question. It does not resolve the problem of the education of young people, which is the most important part of the fight against militarism. At this point someone will retort: He who has the parents has the children of these parents, he has the youth! In any case it would be a wretched Social-Democrat who did not try his best to fill his children with the Social-Democratic spirit, and bring them up as Social-Democrats. It may be that the influence of the parents – together with the influence of the economic, social and political conditions under which the working-class youth grows up, but which, though the most important and obvious means of agitation and enlightenment, cannot be influenced by Party activity and must therefore be disregarded here – can easily overcome all the cunning of the attempts of reaction and capitalism to capture the child’s mind. But this fact clearly does not refute our point. One cannot settle things so easily. In fact it is precisely a careful examination of the above trend of thought which shows where the failing in our present agitation lies, a failing which is growing continually more serious and urgently demands a solution. “Every Social-Democrat brings up his children as Social-Democrats.” But only to the best of his ability. This is the basis of the first important failing. How many people have a general understanding of how to teach, even if they have the time and inclination, and how many Social-Democratic workers, even if they have the best of intentions, have the necessary leisure and the necessary knowledge to educate their children? And in how many cases do the women and other politically backward members of the family rather unfortunately constitute a serious counterweight to whatever educational influence the class-conscious father may possess? If the Party wants to do its duty properly it must go into every nook and corner to help with home education. What is required is general educational and especially agitational work among young people, which must have an anti-militarist aspect. But further: how many proletarians are really educated in Social-Democracy, educated to the point where they themselves can educate others on the fundamental principles of the standpoint and goals of the movement? How many workers are there in time of peace so ready for sacrifice and so tireless that they are even willing to undertake, to the best of their ability, the tough, painful, continuous hourly and daily work of education? And apart from those who are a quarter or half-educated, and the lukewarm who form an enormous mass: what a huge number of workers are total strangers to Social-Democracy! Here is a great field full of the best hopes of the working-class, almost incalculable in its potential, whose cultivation must not at any cost wait upon the conversion of the backward sections of the adult proletariat. It is of course easier to influence the children of politically educated parents, but this does not mean that it is not possible, indeed a duty, to set to work also on the more difficult section of the proletarian youth. The need for agitation among young people is therefore beyond doubt. And since this agitation must operate with fundamentally different methods – in accordance with its object, that is, with the different conditions of life, the different level of understanding, the different interests and the different character of young people – it follows that it must be of a special character, that it must take a special place alongside the general work of agitation, and that it would be sensible to put it, at least to a certain degree, in the hands of special organizations. Our agitational work, with the growth in its volume and the increase in the Party’s tasks, and at a time when the decisive struggles are drawing ever nearer, has become so extraordinarily extensive and complex that the need for it to be divided up becomes more pressing – a division of labour of whose relative, but only relative, difficulties we are not by any means ignorant. 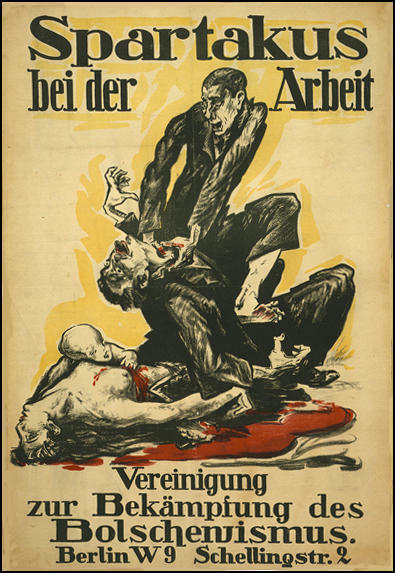 The Berner Tagewacht publishes the full text of Karl Liebknecht’s protest in the Reichstag against the voting of the war credits. The protest was suppressed in the Reichstag, and no German paper has published it. It appears that seventeen Social-Democratic members expressed their opposition to the credits on December 2, but Karl Liebknecht’s was the only vote recorded against them. The enemies of the working class are counting on the forgetfulness of the masses – provide that that be a grave miscalculation. They are betting on the forbearance of the masses – but we raise the vehement cry: "How long should the gamblers of imperialism abuse the patience of the people? Enough and more than enough slaughter! Down with the war instigators here and abroad!" You probably know how he (Karl Liebknecht) has lived for many years: practically only in parliament, meetings, commissions, conferences; running and rushing, always ready to jump from the commuter-train into the tram, and from the tram into a car; every pocket stuffed full of memo pads, his arms full of the latest newspapers which, of course, he never finds time to read; body and soul covered with street dust, and yet always with a kind and youthful smile on his face. He (Liebknecht) never seemed to get tired... besides speaking at meetings, doing office work, and acting as defence counsel in court, he could still spend whole nights debating and drinking merrily with the comrades. And even if the street dust did cover his soul at times, it could not stifle the genuine enthusiasm which imbued all his activities. It was this devotion to the cause, the passionate temperament and this capacity for enthusiasm that Rosa valued. She recognised the true revolutionary in him, even if they sometimes disagreed on details of party tactics. They worked together and complemented each other very well, especially in the struggle against militarism and the danger of war. 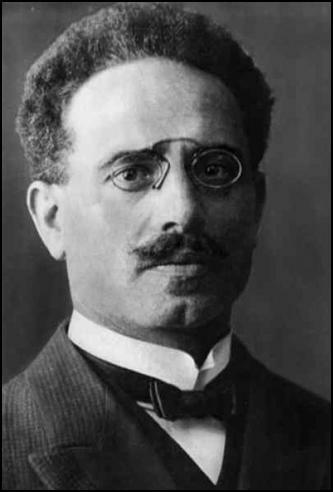 Karl Radek had furnished me in Moscow with introductions to Karl Liebknecht and Rosa Luxemburg, the famous Spartakist leaders in Germany. So I began to search for them and, after a while, I found the headquarters of the Spartakusbund, the most revolutionary of all the German Left parties. After my credentials had been carefully inspected, I was taken to see Rosa Luxemburg. A slight little woman, she showed at once a powerful intellect and a quiet grasp of any given situation. She had heard about me and of the fact that I had taken up a strong stand against the Allied intervention in Russia. She proceeded to question me about the situation in Russia. I told her how the White Counter-Revolution had been beaten on the Volga and thrown back to Siberia, but that Lenin had spoken to me not long before with some apprehension of the possibility of Allied military support for the Russian Whites in South Russia, now that the Dardanelles and Black Sea were open to British and French warships. Then she asked me a question, the significance of which I did not appreciate at the time. She asked me if the Soviets were working entirely satisfactorily. I replied, with some surprise, that of course they were. She looked at me for a moment, and I remember an indication of slight doubt on her face, but she said nothing more. Then we talked about something else and soon after that I left. Though at the moment when she asked me that question I was a little taken aback, I soon forgot about it. I was still so dedicated to the Russian Revolution, which I had been defending against the Western Allies' war of intervention, that I had had no time for anything else. But a week or two later I began to hear that Rosa Luxemburg differed from Lenin on several matters of revolutionary policy, and especially about the role of the Communist Party in the Workers' and Peasants' Councils, or Soviets. She did not like the Russian Communist Party monopolizing all power in the Soviets and expelling anyone who disagreed with it. She feared that Lenin's policy had brought about, not the dictatorship of the working classes over the middle classes, which she approved of but the dictatorship of the Communist Party over the working classes. The dictatorship of a class - yes, she said, but not the dictatorship of a party over a class. Later, I began to see that Luxemburg had much wisdom in her attitude, though it was not apparent to me at the time. Looking back, it seems that she was not so critical of Lenin's tactics for Russia. She did not want them applied to Germany. Alas, she never lived to use her influence on her colleagues in the Spartakusbund for more than a few weeks after I saw her. Friends, Comrades, Brothers! From under the blows of the world war, amidst the ruin which has been created by Tzarist Imperialist society - the Russian Proletariat erected its State - the Socialist Republic of Workers, Peasants and Soldiers. This was created in spite of an attitude of misconception, hatred and calumny. This republic represents the greatest basis for that universal socialist order, the creation of which is at the present time the historic task of the International Proletariat. The Russian revolution was to an unprecedented degree the cause of the proletariat of the whole world becoming more revolutionary. Bulgaria and Austria-Hungary are already in the throes of revolution; revolution is awakening in Germany. But there are obstacles in the way of the victory of the German proletariat. The mass of the German people are with us, the power of the accused enemies of the working class has collapsed; but they are nevertheless making all attempts to deceive the people, with a view of protracting the hour of the liberation of the German people. The robbery and violence of German Imperialism in Russia, as well as the violent Brest-Litovsk peace and the Bucharest peace have consolidated and strengthened the Imperialists of the Allied countries; - and this is the reason why the German Government are endeavouring to utilize the Allied attack upon Socialist Russia for the purpose of retaining power. You have no doubt heard how Willhelm II, who, now that Tzarism has perished, is the representative of the basest form of reaction, - a few days ago made use of intervention in the affairs of proletarian Russia by the Allied Empires for the purpose of raising a new war agitation amongst the working masses. We must not permit our ignoble enemies to make use of any democratic means and institutions for their purpose; the proletariat of the Allied countries must allow no such thing to occur. We know that you have already raised your voice to protest against the machinations of your governments; but the danger is growing ever greater and greater. A united front of world Imperialism against the proletariat is being realised, in the first instance, in the struggle aga inst the Russian Soviet Republic. This is what I warn you against. The proletariat of the world must not allow the flame of the Socialist Revolution to be extinguished, or all its hopes and all its powers will perish. The failure of the Russian Socialist Republic will be the defeat of the proletariat of the whole world. Friends, comrades, brothers arise against your rulers! Long live the Russian workers, soldiers and peasants! Long live the Revolution of the French, English, American proletariat! Long live the liberation of the workers off all countries from the infernal chasm of war, exploitation and slavery! The Putsch, wth inadequate forces and overwhelming mass disapproval except in Berlin, was as she had predicted, a fizzle. But neither she nor her close associates fled for safety as Lenin had done in July, 1917. They stayed in the capital, hiding carelessly in easily suspected hideouts, trying to direct an orderly retreat. 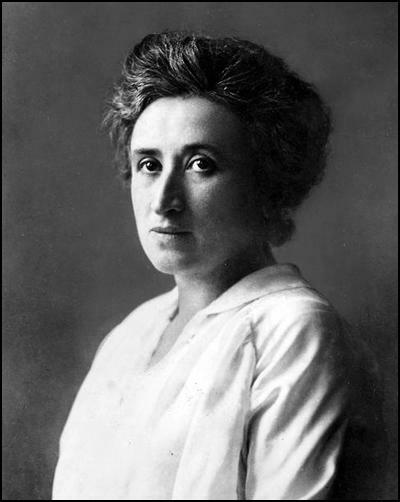 On January 16, a little over two months after she had been released from prison, Rosa Luxemburg was seized, along with Karl Liebknecht and Wilhelm Pieck. Reactionary officers murdered Liebknecht and Luxemburg while "taking them to prison." Pieck was spared, to become, as the reader knows, one of the puppet rulers of Moscow-controlled East Germany.